My first taste of NHL 19 action was locked away in a private room at EA Play in Los Angeles early in the summer. There, I was given a demo of the World of Chel and had the opportunity to play against a few developers in the NHL Ones mode. As someone who has long believed that the core of the NHL games needed some true overhauling and not just minor tweaks, I was blown away. Movement, it seemed, had been stripped down and rebuilt in NHL 19 with what EA Canada is calling RPM Tech. I left that closed-door session with great optimism and have waited all summer to see if the final product could withstand my high expectations. No matter what mode I play in NHL 19 I feel the improved responsiveness of my skater. Gone are the days of looping turns and feeling helpless because I can’t execute the move I want with the tools given. Players who are skilled at deking are going to be even better, and those who prefer to play a responsible defensive game will have the ability to adjust to the smallest details from an attacker. I’ve already put this to great use in the NHL Ones mode, cutting back and forth as I attempt to evade defenders who desperately want to prevent me from getting a shot on goal. Core movement changes have also improved hitting in NHL 19, resulting in more realistic collisions. Hitting in previous NHL games, although fun, still had an arcade feel to it. The hitting in NHL 19 is largely realistic in result. When two players collide, there are several factors considered, including momentum, point of contact, timing, and more. The hits that result can be big, but often they simply feel honest. When I catch a piece of the puck carrier’s shoulder, they spin and tumble in unique and believable ways instead of flopping to the ice with the same few animations repeatedly. If there’s one issue that I have with the core gameplay mechanics of NHL 19, it’s the amount of cheese goals available. We’ve all seen them in past years, and they’re still a problem. A bad one has made it into NHL Ones, hitting the point where every game was filled with the same shot attempt by almost every player. Cheese goals, in any online mode, ruin the experience for those who try to play right. With the major improvements to movement and hitting, cheese goals are next on my wish list to be addressed. World of Chel games take place on outdoor rinks, where it all began. 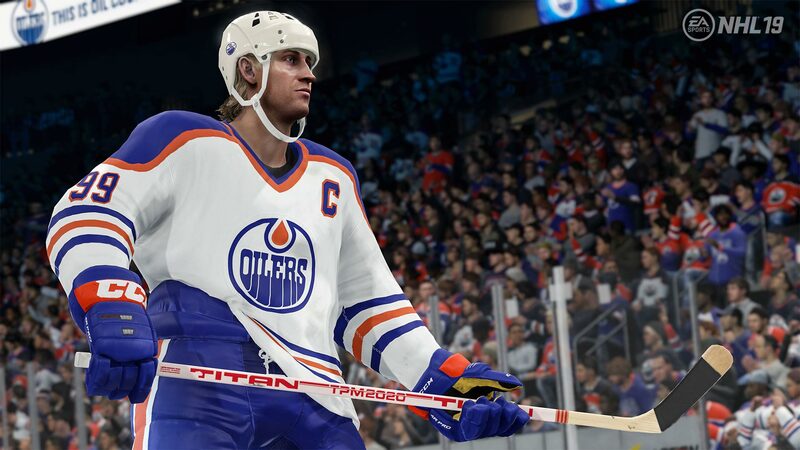 Almost every mode in NHL 19 has seen improvements, but the biggest attraction is the World of Chel and the game modes that populate it. NHL Ones is the obvious star, with three random players doing battle in a 1v1v1 format on an ice surface cut off at the blueline. The games are short and unlike anything seen in the franchise previously. Win and you move up, lose too many in a row and you move down. Players can level their World of Chel rank simply by competing, unlocking hockey bags and customizing characters with cosmetics and perks. World of Chel also includes the new Pro-Am mode where you play the AI and match up against NHL stars in pond-hockey action. Beat the challenge and you’ll unlock more, as well as continuing to level your World of Chel character. It’s a fantastic way to grind unlocks without having to endure other players, an essential alternative to ensure World of Chel appeals to everyone. NHL Threes is back in more ways than I can keep straight. There’s the NHL Threes Circuit, which is not the same as the NHL Threes Drop-In that’s part of the World of Chel. NHL Threes Drop-In sees you match up against others online. Team up with friends in this mode or go solo and depend on the matchmaking. It’s just online NHL Threes hockey with the same hilarious gameplay. It’s a solid way to earn hockey bags without having to get too serious. Rounding out the World of Chel is the EASHL. I found it to be the most boring activity that I participated in. It was a poke-check convention that dragged on over three periods of hockey. With NHL Ones, EA Canada wasn’t afraid to step outside the lines, and I would have welcomed a take on the EASHL that wasn’t afraid to do the same. Either that or remove it from the World of Chel entirely. Online Versus would have been a better fit. 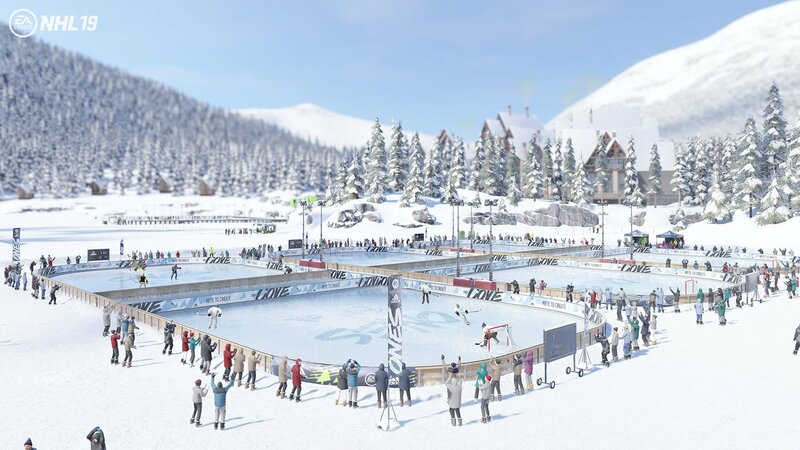 The World of Chel, across all its modes, is essentially pond hockey that gives players the chance to express themselves leveling and opening hockey bags with cosmetics and perks. What I love about it, though, is the atmosphere created. Playing on an outdoor rink is fantastic and being able to dress as if you really are on the neighborhood pond is refreshing. The fact that the World of Chel contains absolutely no microtransactions is a bonus, but I wonder what there is to do once you’ve unlocked the gear you want. It’s a very cool idea, but its longevity will be tested in the months to come. Once you leave the World of Chel things become familiar. The modes are same as previous installments, with Be a Pro, Franchise Mode, Hockey Ultimate Team, and a few more. There have been upgrades, but most of the core activities still need a bit of attention. Be a Pro has seen the implementation of a Skill Tree and Trait Points. The Skill Tree allows you to unlock specific upgrades, better shaping the skills that your character excels at. These Trait Points can also be used to unlock Specialties, giving you perks that help shape your identity as a player. This is most certainly a step in the right direction, but the Be a Pro feedback system remains clunky and poorly applied. It could be ripped from the game entirely and the mode would be better for it. Franchise Mode has seen the scouting system overhauled. It now has a depth that will add hours of content for those (like me) who enjoy the management side of things. Franchise Mode might be the most well-rounded activity in the game. Being able to create your own team, manage everything down to the repairs needed on the arena bathrooms, and play through the games is amazing. What’s more important is how customizable the experience is. If you don’t want to manage arena repairs, turn it off. If you want to have team meetings to increase morale, go for it. Hockey Ultimate Team is back, which should surprise nobody. This is where the microtransactions live in NHL 19, which I have no problem with. The mode has seen the addition of Legends, NHL stars from days gone that you can unlock and add to your team. It’s cool and I was excited to play as Tie Domi, but HUT operates like previous years. If you liked HUT last year, you’re going to like it this year. If you didn’t like it last year, you’re not going to this year. It rewards those willing to pump hundreds of hours into building their teams through marketplace management, and if you aren’t willing to do that you probably need to open your wallet to remain competitive. While I’ve spent quite a bit of time (and money) in HUT in previous years, the draw isn’t there in NHL 19. Most of my time has been spent in the World of Chel. There are still some annoying presentation issues in NHL 19 that have been around for years now. Commentary needs to be better, and I’d pay a few extra bucks to get Jim Hughson in there. Menus feel a bit more convoluted than in previous installments. Several times I’ve found myself browsing Twitter on my phone, only to look up and realize that I missed another button needed to launch an activity. Overall, though, the game looks good, with the play-by-play in Threes Circuit being a standout, as it was last year. There have been years where I’ve questioned whether the NHL franchise was worth the price tag. This isn’t one of those years. RPM Tech isn’t just a fancy marketing term, it’s been backed up with tangible changes to the core movement system in NHL 19, and the gameplay feels more honest because of it. With the World of Chel, I expected to yell like an old man who hates change about how the kids were ruining everything. However, EA Canada has managed to focus on the youth movement in a way that doesn’t alienate traditionalists who value good hockey over cosmetics. 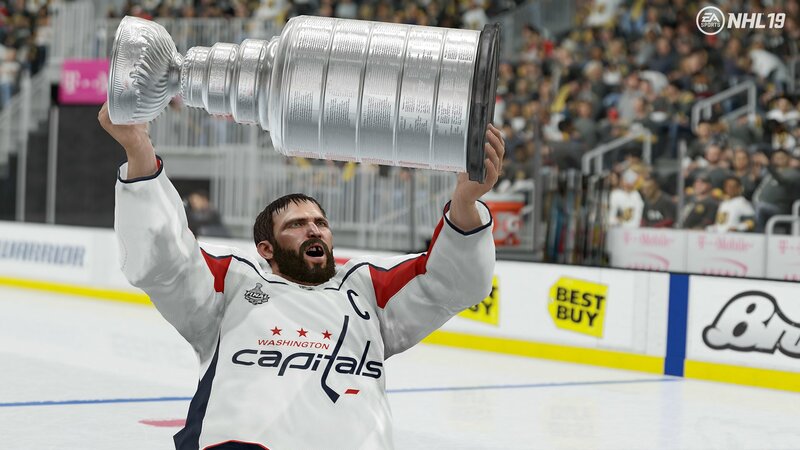 There are still things that need addressing, but NHL 19 is the best hockey experience I’ve had with the NHL franchise in the PS4 era. This review is based on a PS4 download code provided by the publisher. NHL 19 will be available in retail and digital stores on September 14th, 2018.